I would like to purchase massage gift certificates! March/April 2015 - How Important is regular care? You know as a patient of mine, my emphasis is always on prevention. It is my belief that preventing disease makes much more sense than waiting until a disease manifests. I came across this open letter from United States Senator Tom Harkin entitled Shifting America from Sick Care to Genuine Wellness. 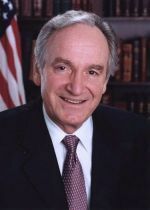 Senator Harkin is the lead Senator in the committee drafting the Prevention and Public Health section of President Obamas comprehensive health reform bill. Even though it sounds like I wrote this, I didnt, but it certainly represents my point of view. I am very happy to see this important change in focus and the emergence of a new paradigm in health care. Washington, DC--With the Senate health committee convening daily to craft a comprehensive health reform bill, the basic outline of this landmark legislation is now clear. Yes, it will ensure access to affordable, quality care for every American. But, just as important, it will hold down health care costs by creating a sharp new emphasis on disease prevention and public health. As the lead Senator in drafting the Prevention and Public Health section of the bill, I view this legislation as our opportunity to recreate America as a genuine wellness societya society focused on prevention, good nutrition, fitness, and public health. The fact is, we currently do not have a health care system in the United States; we have a sick care system. If youre sick, you get care, whether through insurance, Medicare, Medicaid, SCHIP, community health centers, emergency rooms, or charity. The problem is that this is all about patching things up after people develop serious illness and chronic conditions. We spend a staggering $2.3 trillion annually on health care16.5 percent of our GDP and far more than any other country spends on health careyet the World Health Organization ranks U.S. health care only 37th among nations, on par with Serbia. We spend twice as much per capita on health care as European countries, but we are twice as sick with chronic disease. How can this be so? The problem is that we have systematically neglected wellness and disease prevention. Currently in the United States, 95 percent of every health care dollar is spent on treating illnesses and conditions after they occur. But we spend peanuts on prevention. The good news in these dismal statistics is that, by reforming our system and focusing on fighting and preventing chronic disease, we have a huge opportunity. We can not only save hundreds of billions of dollars; we can also dramatically improve the health of Ameri-can people. Consider this: Right now, some 75 percent of health care costs are accounted for by heart disease, diabetes, prostate cancer, breast cancer and obesity. What these five diseases and conditions have in common is that they are largely preventable and even reversible by changes in nutrition, physical activity, and lifestyle. Listen to what Dr. Dean Ornish told our Senate health committee: "Studies have shown that changing lifestyle could prevent at least 90 percent of all heart disease. Thus, the disease that accounts for more premature deaths and costs Americans more than any other illness is almost completely preventable, and even reversible, simply by changing lifestyle." Its not enough to talk about how to extend insurance coverage and how to pay for health careas important as those things are. It makes no sense just to figure out a better way to pay the bills for a system that is dysfunctional, ineffective, and broken. We also have to change the health care system itself, beginning with a sharp new emphasis on prevention and public health. We also have to realize that wellness and prevention must be truly comprehensive. It is not only about what goes on in a doctors office. It encompasses workplace wellness programs, community-wide wellness programs, building bike paths and walking trails, getting junk food out of our schools, making school breakfasts and lunches more nutritious, increasing the amount of physical activ-ity our children get, and so much more. I am heartened by the fact that the major players in this endeavorDemocrats and Republicans alikeall "get it" when it comes to prevention and public health. We all agree that it must be at the heart of reform legislation. As President Obama said in his speech to Congress earlier this year: "[It is time] to make the largest investment ever in preven-tive care, because thats one of the best ways to keep our people healthy and our costs under control." No question, comprehensive health reform is an extraordinarily ambitious undertaking. But what makes me optimistic is that all the major groups are playing a constructive role, including those that opposed the 1993-94 health reform effort. Everyone agrees that the current system is broken. Winston Churchill famously said that "Americans always do the right thingafter theyve tried everything else." Well, weve tried everything else, and it has led us to bad health and the brink of bankruptcy. Comprehensive health reform legislation is our opportunity to change the paradigm. We are going to extend health insurance to every American. And we are going to give our citizens access to a 21st century health care systemone that is focused on helping us to live healthy, active, happy lives. One of the major components of a healthy lifestyle is the maintenance of spinal motion and mobility. Average Americans reach peak spinal mobility around 23 years of age. By age 60, typically 75 percent of that mobility is gone. The lack of spinal mobility produces a steady decline in activity levels and contributes to the progression of degenerative disc disease, spinal degeneration, disc herniation, and foraminal stenosis. With a simple adjustment schedule, regular stretching and core exercise, spinal mobility can be extended by up to 30 years and the development of these conditions drastically reduced. A four year retrospective claims data analysis comparing more than 700,000 health plan members with chiropractic coverage and 1 million members from the same plan but without a chiropractic benefit showed chiropractic care drasti-cally cut health care costs. The study reported in the Archives of Internal Medicine, published by the American Medi-cal Association concluded chiropractic care cut the cost of treating back pain by 28 percent; reduced hospitalizations among back pain patients by 41 percent; decreased back surgeries by 32 percent; and reduced the cost of medical imag-ing, such as X-rays and MRIs by 37 percent. Senator Tom Harkin and his committee are making sickness prevention the new paradigm in health care because it is the only way to improve overall health, save lives and reduce costs. If spinal care is a core component of your prevention programcongratulations; if not, isnt it time to start? The office is open Mondays and Wednesdays from 8am until noon and 3pm until 7pm, Tuesdays and Thursdays from 9am until 11am, and Fridays from 8am until noon and 3pm until 6pm. I look forward to seeing you soon. If you haven't had the opportunity to visit the "massage suite" at the Cowan Chiropractic you don't know what you're missing! We have the privilege of working with two of the best therapists in the area. A 30 minute or 1 hour massage is great before or after an adjustment. Currently Mary and Linda are offering a package of 3-one hour massages for $135.00, a savings of $15.00. Call to set up an appointment. Cowan Chiropractic will be "adjusting" our hours for the Labor Day holiday and the week prior. Dr. Cowan will be attending a continuing education seminar the weekend before the holiday. Massage hours will remain the same. There are unique businesses. Many family owned businesses. Businesses committed to customer service. Businesses that sponsor high school scholarships, softball teams, the marching band, parks and recreation. Businesses that support the Relay for Life, the 3 Day Cancer Breast Walk, the Leukemia and Lymphoma Society, SCAMP, Lighthouse Emergency Services and many more charitable fundraisers and organizations. Businesses with a history of helping shape this town, growing the community and preserving our hometown heritage. In addition, many of our patient's are local business owners themselves. Our businesses are a big part of what makes Clarkston a great place to live, work and play. Take time to discover our businesses and make our hometown--your hometown. Here at Cowan Chiropractic Clinic we pride ourselves by supporting our fellow business people as much as we can and by referring others for their goods and services. *We are open most Saturday's but not all. Please call or check our calendar before stopping by. Please call our office at 248-625-7600 to make payments over the phone. With all the heavy snow this winter season it's easy to over do it. Be careful of your back while shoveling! Proper shoveling techniques can save you from a episode of low back pain. ...but remember, we're here to help if you need us!